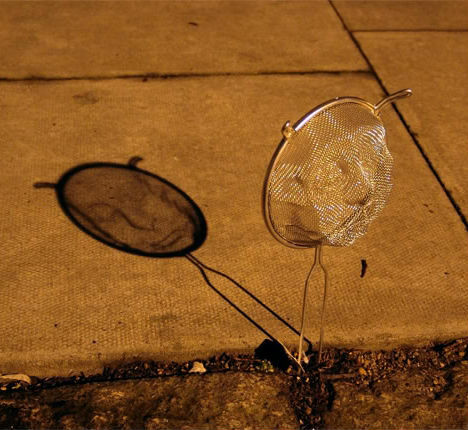 Ghostly faces appear in shadows on the sidewalk – cast, of all things, by kitchen colanders. 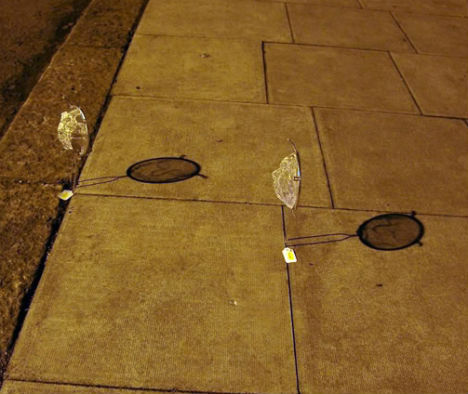 ‘Cement Bleak‘ is an urban installation project by artist Isaac Cordal that employs street lights to reveal the visages trapped in carefully sculpted metal mesh. 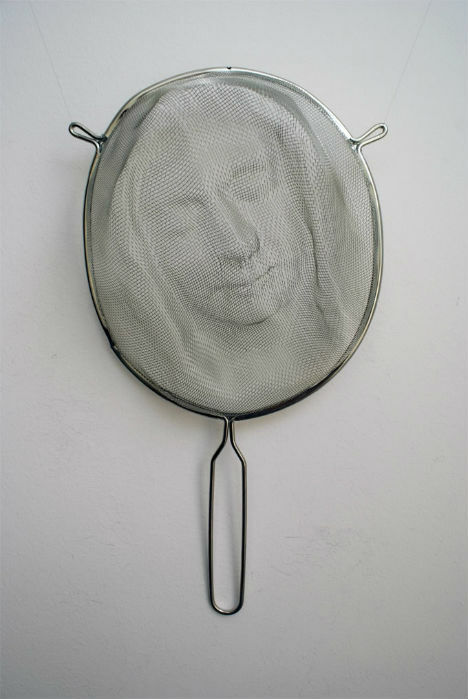 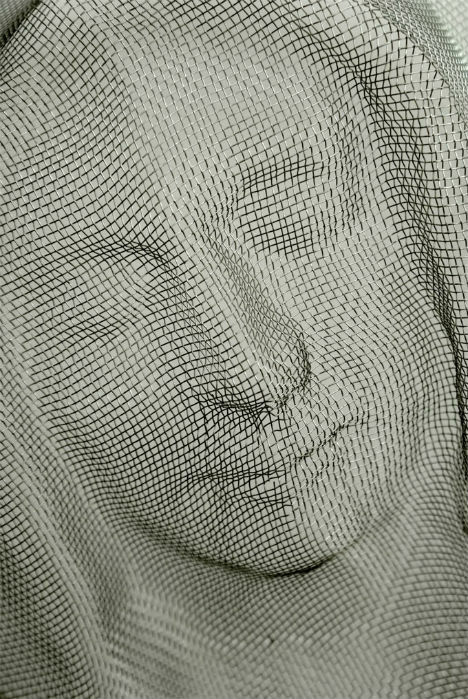 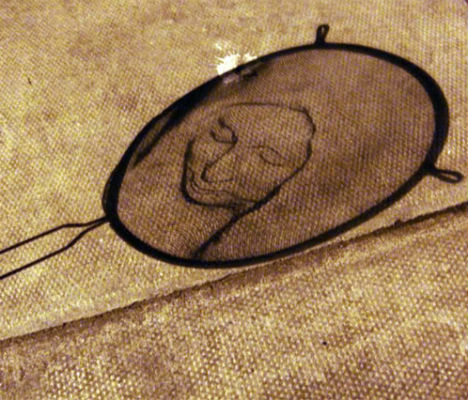 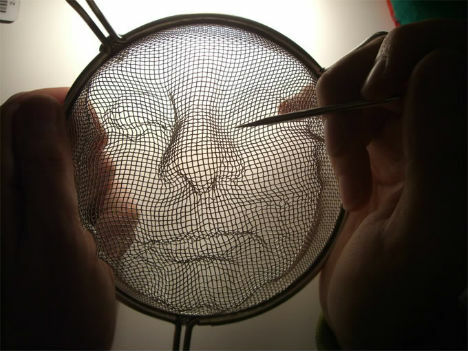 Cordal hand-shapes each metal sifter into a face, which appear three-dimensional when light passes through them and casts a shadow on a surface. 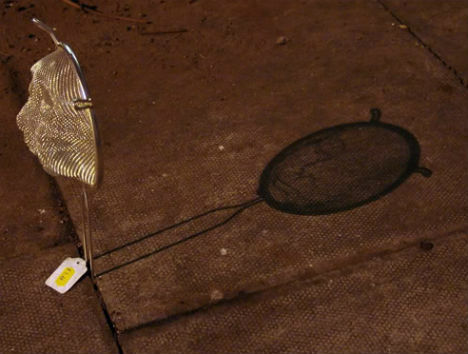 Cordal is known for his miniature cement figures, which are placed in small and often poignant street installations that could easily be overlooked by passersby who are not paying attention to their environment.